When we fall in love with pop culture characters like The Simpsons, Jack Bauer of 24 or the Belcher family from Bob's Burgers our crush makes us overlook the bad stuff about them and their show. We stop paying attention to how many people Jack Bauer kills and all the smokers in Springfield, and those wacky Belchers do a great job of distracting us from how broke they are, even when it's the plot of an episode. According to one study, Bob's Burgers LLC is probably bringing in a little less than $70,000 a year, while only actually taking home about $43,000 in true annual profit. Given that the average cost for an apartment like the Belcher's runs at about $20,000 a year, the Belchers are left with a paltry $23,000 (before taxes). And that, according to the state of New Jersey, puts the Belchers at about 50 percent less than the maximum to receive food stamps. Over the course of eight days, plus the two hours of 24: Redemption and the half-day of Live Another Day, Jack Bauer kills 309 people. 309. That rounds out to 1.5 guys an hour, for a whopping 36 guys a day. It's not evenly spread, either; Bauer started the first day only killing ten guys, but really took the gloves off during Day Six, with 52 individual murders. By contrast, the Korean War killed about 31 Americans soldiers a day. On some days, that was Bauer's quota before he let himself take lunch. In 400 reviewed episodes, there were 795 unique instances of characters riding the nicotine dragon. Around the 2002-2004 era of the show, Springfieldians were averaging some five smoking characters per episode. And while the show typically only focuses on a few characters at a time, Springfield only has an estimated 60,000 residents, which means the percentage of smokers in the town must be incredibly high. 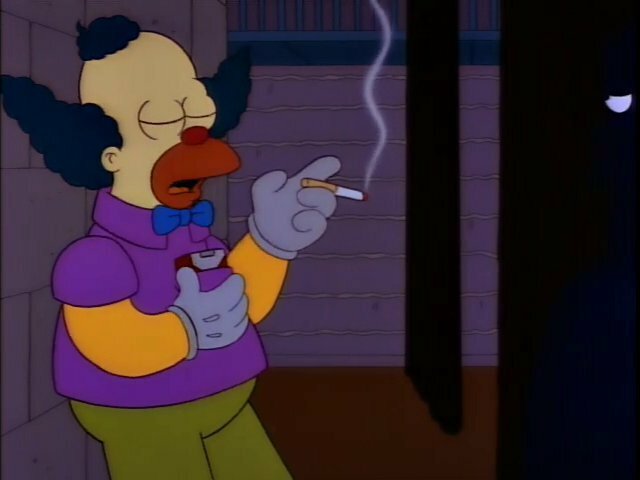 Writers presumably drew the line at the episode in which Apu personally lit the cigarettes of a dozen fifth-graders that wandered into his store, preferring instead to leave it implied. "Sad Facts About Beloved Characters, As Proven By Fans"